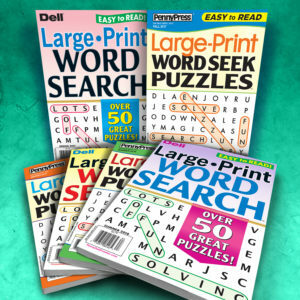 Large print puzzles cater to markets with visually-challenged individuals who enjoy puzzle-solving. 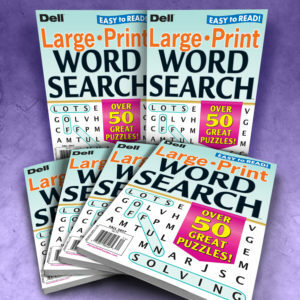 This is a perennial favorite of industries with an aging population such as senior centers, health care facilities and correctional institutions. 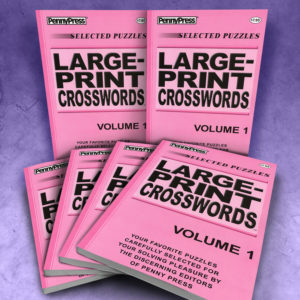 Every word is in large, easy-to-read type that helps fans pursue their puzzle-solving passion independently—without having to stop and ask for reading assistance. What a relief, not to have to squint! 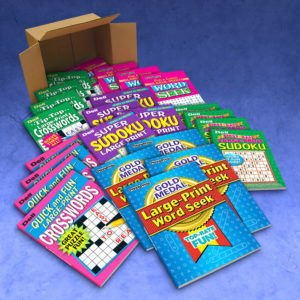 Available in crosswords and word seek.